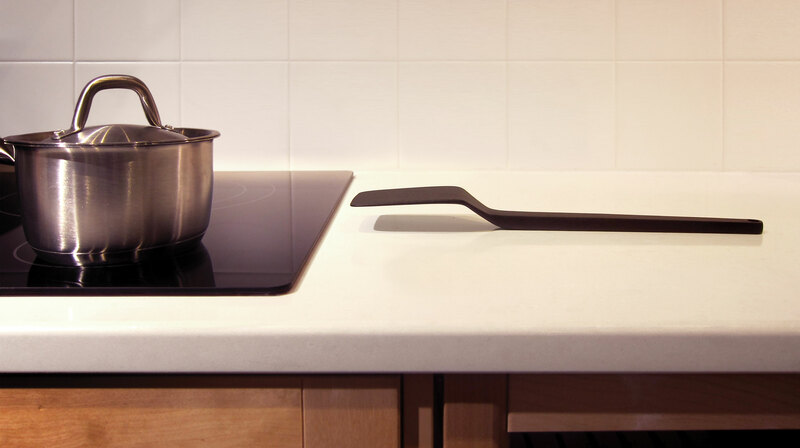 Cantilever no-mess cooking utensils float above the counter, improving hygiene and reducing mess. 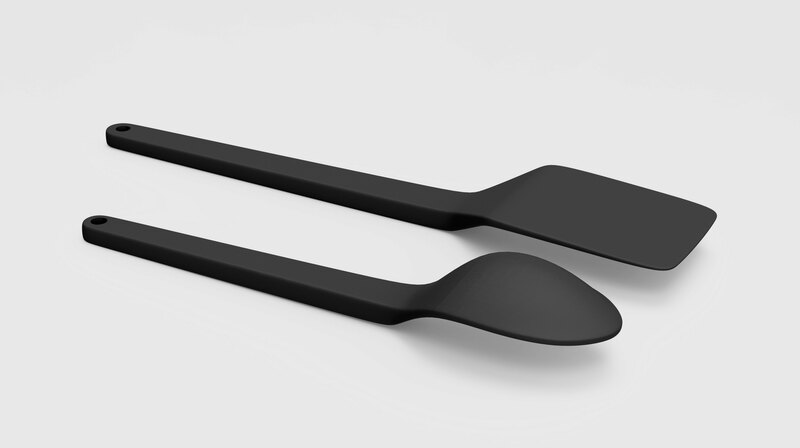 They also eliminate the need for a spoon rest. 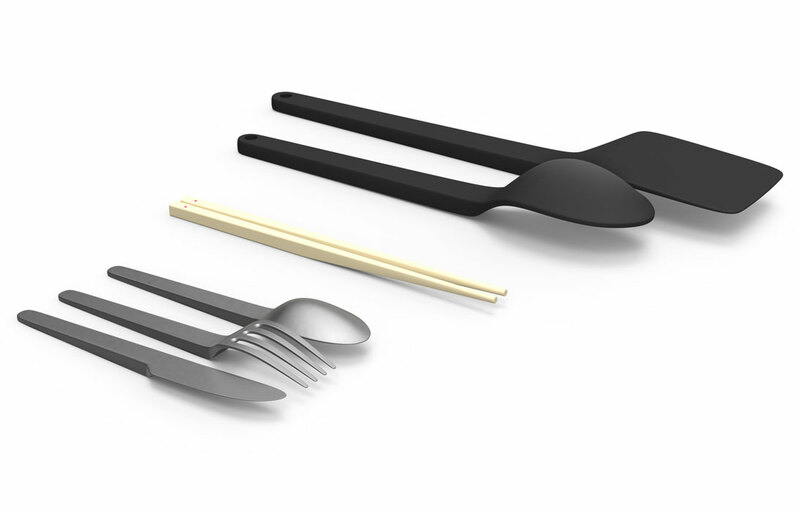 We rethought the angle of traditional cooking utensils to put a little distance between what touches our food and what rests on the counter. 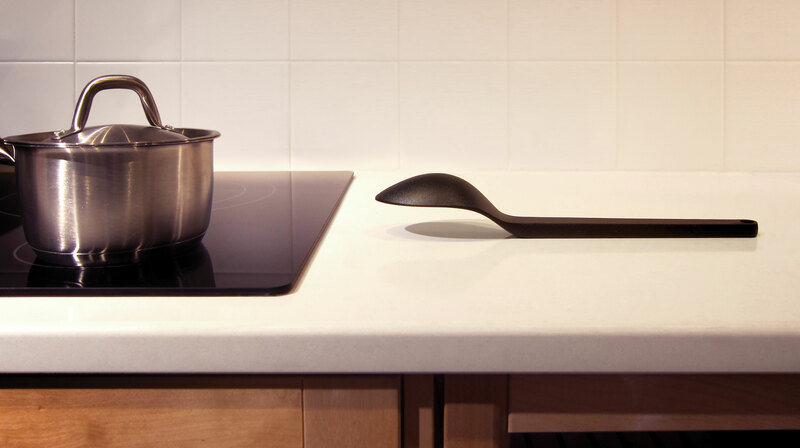 Cantilever Cooking Utensils were designed to look beautiful and tested to ensure they are pleasant to use.